Love day it is guys, what's happening, carrybles, eating a slice of my favorite cake here while I'm browsing coz I love it. Here's the thing though, on my Twitter, I keep getting this on my notifications, as people are posting about USS Indianapolis Men of Courage Trailer. While I think this is something to talk about. 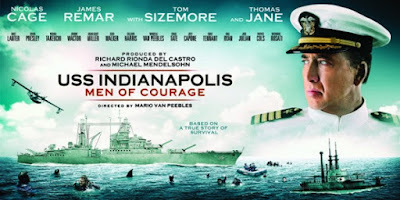 People are just hashtagging, carrybles, this "USS Indianapolis Men of Courage"